A goat farm in Lebanon is being investigated after an E.coli outbreak left 15 people sick, including a mother from Manchester and her 18 month old daughter, who is the only person to speak out about the infection. "(It) was wonderful time that led to a horrible outcome," the mother told NBC Connecticut in an exclusive interview. 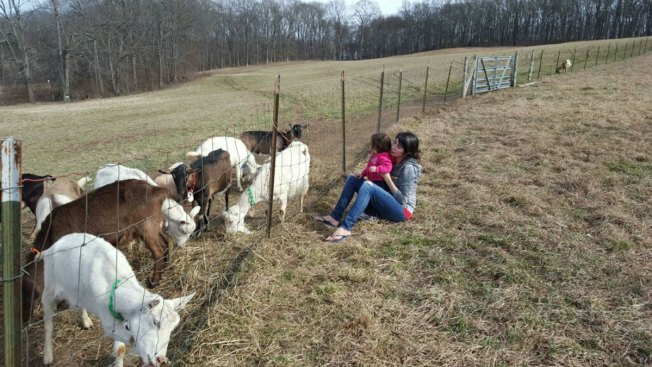 Amanda Collins visited Oak Leaf Dairy farm in Lebanon with her family on March 13. Collins and her daughter are 2 of 15 patients in Connecticut sickened with E.coli. All but one of them reported having direct contact with the goats at Oak Leaf Dairy. The farm is now closed and cooperating with the Department of Public Health. Of the 15 cases, three remain hospitalized at Connecticut Children’s Medical Center.